Annuities can be an important tool in a financial advisor’s toolbox for successful retirement planning (as well as other less common uses). We often work with advisors who may not have recommended an annuity their client comes to them with, but who need to see how it fits into the client’s overall strategy before determining what, if anything, to do with it. Other advisors who work primarily with retirees recommend annuities because of their incredible value for providing a “floor” of income, not to mention the guarantees that a client can buy along with them. We have allowed for many other input options as well, including whether the annuity account has been funded with qualified or non-qualified dollars, expected annuitization year, distribution options once annuitized (straight life, survivorship, or period certain), tax basis, surrender schedule, and purchase year. Users can also enter an asset allocation for variable annuities to reflect the composition of their subaccounts, or else enter the interest rates or expected return on fixed or indexed annuities. That’s all great, you might say, but what about using the annuities in the client’s financial plan? Beyond the balance sheet report, annuities now also can be included and prioritized or deprioritized in the retirement distribution strategy options found in the Retirement What Ifs section. 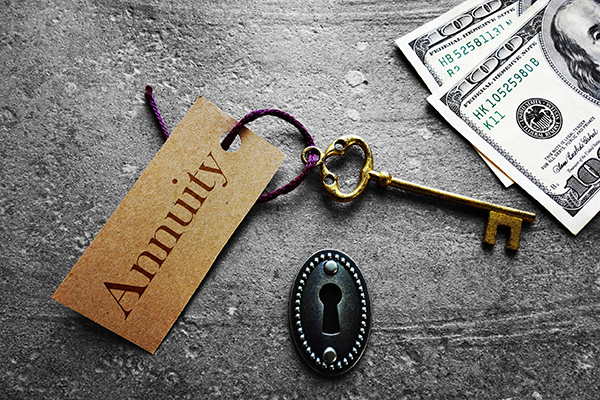 This means that you can now see what impacts using the annuity would have on a client’s retirement situation, whether or not they intend to annuitize it. The asset allocation for variable annuities also impacts the Asset Allocation report and recommendations. Let’s take a look at a real example we saw recently. Nick and Elizabeth are in their early 60s and came to their financial advisor with an indexed annuity sold to them by someone else a few years ago. Their advisor needed to make a recommendation on what to do with the product (along with the rest of their assets). Their advisor was able to input the exact details of the annuity, including the surrender schedule, as part of their plan. Since Nick and Elizabeth hope to retire within the next 2-3 years, their advisor was able to show them using our software what would happen if they wanted to take a lump sum from their annuity in 3 years to buy their retirement home: the cost to surrender the policy as illustrated was prohibitive. Since the clients had no other non-qualified assets to tap into, the advisor was able to demonstrate to the client the prudence of either selling their existing home first and downsizing to generate the cash needed, or of waiting a few more years until the annuity was out of the surrender period. In another scenario, Jamie and Lee wanted to compare the impacts of annuitizing their existing deferred variable annuity versus making ongoing withdrawals from the account value (with no guaranteed income rider). Their advisor was able to “clone” their plan and show one plan with the annuity prioritized in the account distribution hierarchy, then another plan with the income stream from the annuitization. The comparison showed that given the client’s other available assets and circumstances, the better option was to make withdrawals from the account value and leave open the possibility of exchanging the annuity for another with guaranteed income benefits. Beyond these capabilities today, we are currently working on a few more refinements to annuities in Advizr software. Soon, you will be able to earmark annuities for goals other than retirement, such as education. We are adding contribution input options to reflect the ongoing (rather than lump sum) contributions that some clients choose to make. And, perhaps most exciting of all, we will be working this year on support for illustrating income riders and their impacts on a financial plan.